The Model 7899 Gas Sniffer from E Instruments International is a portable, rugged leak detection tool suitable for any HVAC professional. The 7899 is equipped with a highly sensitive tip to Pin-Point small leaks of any Combustible gases & Hydrocarbons from piping and/or appliances. (Natural Gas, Methane, Propane, Butane, LPG, etc). 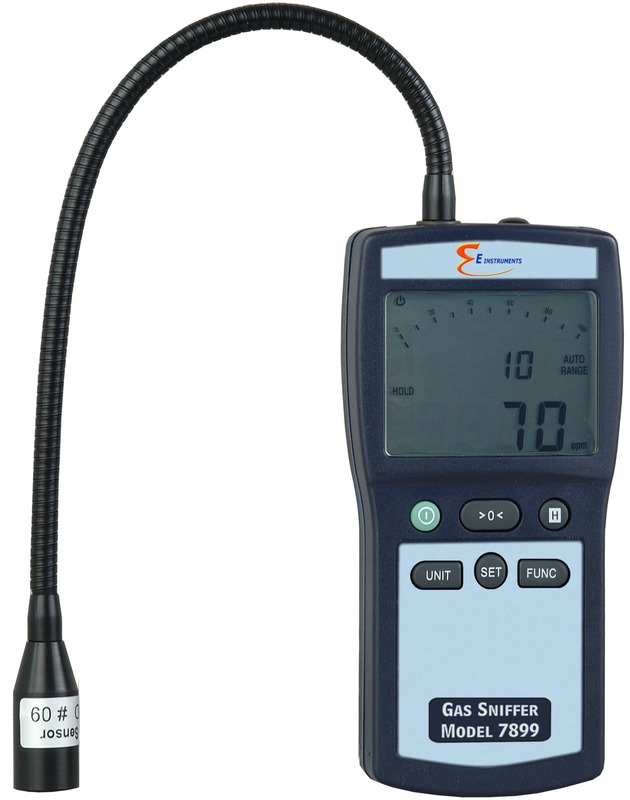 The 7899 Gas Sniffer includes: 11-in fully flexible probe for hard-to-reach places; auto zero-drift adjustment; large visual LCD and bar graph display; audio alarm; readings in PPM, %vol, %LEL; range: 0 to 10,000 ppm.